Home BUSINESS NEWS Construction of the Sh1.3 trillion affordable houses by government starts this December. 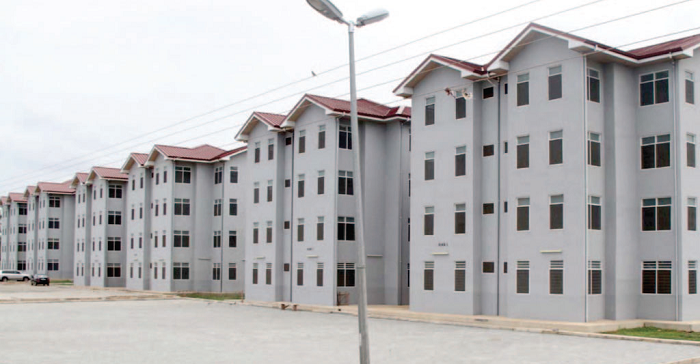 Construction of the Sh1.3 trillion affordable houses by government starts this December. The groundbreaking ceremony for the Sh1.3 trillion affordable housing programme by the government will be held on December 11 at Parklands, Nairobi. The 500,000 units, to be built within the next 4 years, will be in three categories of houses that will be available to Kenyans depending on the level of income: social, low-cost and mortgage gap. The social houses will be for people earning up to Sh. 14,999, low-cost (Sh. 15,000-49,999) and mortgage gap (Sh. 50,000-99,999). Housing Principal Secretary Charles Mwaura told a parliamentary committee that the one-bedroom houses under the social housing programme will cost Sh. 600,000, with those buying them expected to pay Sh. 2,500 per month for 25 years. Under the same house category, a two-bedroom house will cost Sh. 1 million, for Sh. 4,500 per month, while a three-bedroom house will go for Sh. 1.4 million, for Sh. 6,500 per month. Mwaura said that the national government will have a memorandum of understanding with county governments for delivery of 2,000 housing units per year. The houses will be awarded through an affordable housing portal using a free and transparent system. “The system is designed to ensure every deserving applicant is allocated a house. However, it is expected that initially there will be significantly more demand than supply of affordable houses. In the event that an applicant is not allocated a house in the initial round of allocation, their names will remain on the waiting list,” Mwaura said.